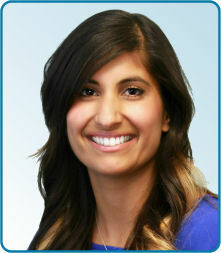 Lucki Khurana has been with Kamloops Physiotherapy since the fall of 2014, but has been involved in private practice in Saskatoon since 2009. She graduated with distinction from the College of Kinesiology and then went on to successfully complete her Masters in Physical Therapy at the University of Saskatchewan. Lucki is devoted to her profession and is motivated to continue post graduate work. She has completed her acupuncture training with the Acupuncture Foundation of Canada Institute, Govaki Transverse Technique Dry Needling and is currently pursuing her Diploma of Advance Orthopedic Manual and Manipulative Physiotherapy from the Orthopedic Division of Canadian Physiotherapy Association. Lucki has also completed post graduate studies from Curtin University, giving her a Certificate in Orthopedic Manual Therapy (COMPT). Lucki's interest in athletics led her to play a significant sports medicine role with the University of Saskatchewan Huskies Women's Volleyball team and the Huskies Men's Soccer team. She is enthusiastic about health promotion and demonstrates an active interest by sharing her knowledge through strength and conditioning classes, education sessions, running, weight training and yoga therapy. If Lucki is not at the office you can find her hiking with her dogs, traveling, running, practicing yoga and constantly challenging herself to learn new skills.